The North Texas area just got a whole lot brighter as Enchant Christmas made its debut this past weekend. This incredible Christmas destination is open 7 days a week from now until December 31 (closed December 4, 11 and 24) from 5 pm to 11 pm. Wonder and excitement awaits at this spectacular holiday event that will put your whole family in the Christmas spirit. 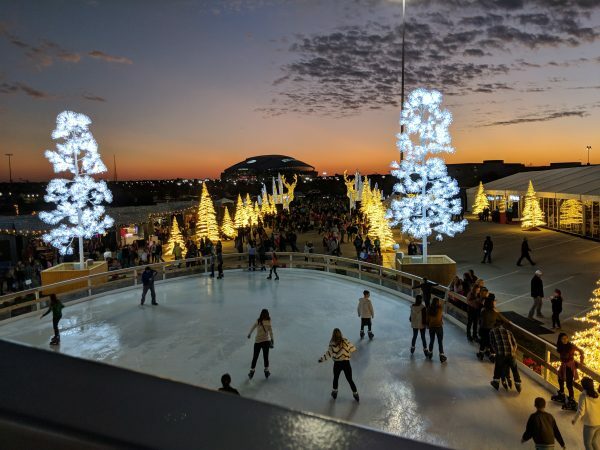 Located in Lot F of Globe Life Park in Arlington, Enchant Christmas should be on your top 10 list for Christmas events. Also check out these DFW holiday markets and crafts shows for your shopping this holiday season! Over 85 vendors offer clothing, candles, jewelry, ornaments, chocolate, popcorn and collectibles for sale. Handcrafted German Christmas ornaments and chocolate liquor are just waiting for you to feast your eyes (and tastebuds) on! 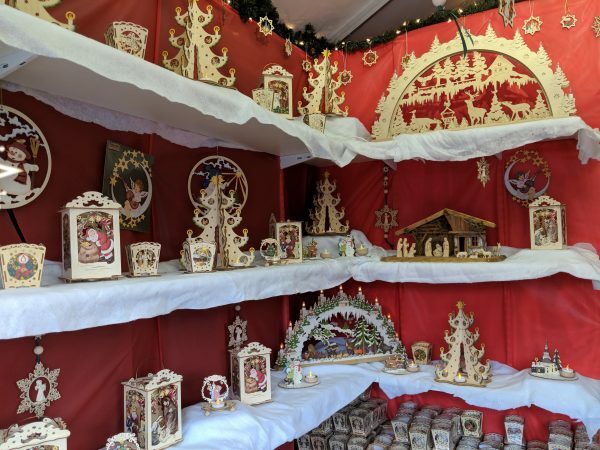 Don’t miss the unique finds in Christkindl Lane across the back of the Market. A sea of food trucks fill the eating area of Enchant Christmas as they have the best BBQ, ice cream, tacos, burgers, seafood and Greek food around! Get a bite to eat and enjoy the entertainment playing on the main stage. Last but not least, the Christmas light maze is the star of the show. With amazing lights and the hunt for the reindeer, kids, adults and everyone in between will love the twinkling lights. Texas heat is no match for snowfall in the light maze- keep exploring till you end up finding all the reindeer and seeing Santa. And make some unforgettable Christmas memories while you’re at it. DFW Living on the Cheap has been lucky enough to land a special discount offer for you to attend this magical, Christmas light display. 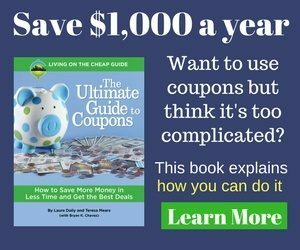 This will give you 20% off ticket prices. Follow this link: https://enchantchristmas.com/calendar and when you go to check out, enter this code into the promo code area: SHOP.